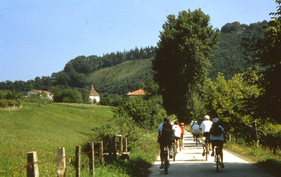 Choose a greenway by Community, Province or key word. 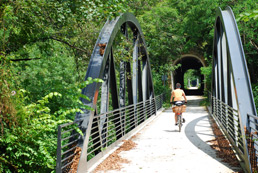 Greenways Maps Locate a greenway through our maps. 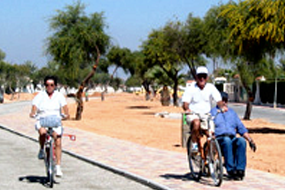 Greenways List Choose a Greenway by list. 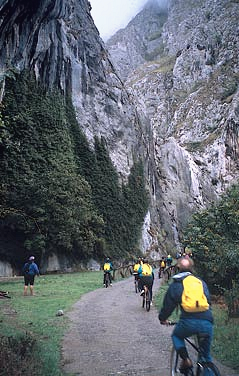 Iron and Coal Greenway. 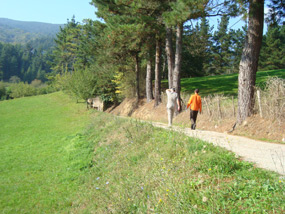 The Ter is a river that runs through several counties Girona from the steepest slopes of the Pyrenees to the Costa Brava.Sus was guided along the path of several railroads. 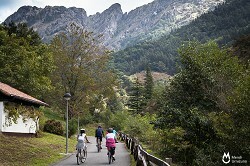 Some, now missing, support for new routes for passengers calm. 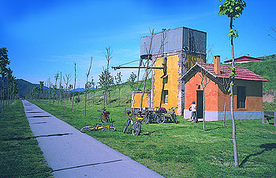 Such are the cases of carrilet from Olot to Girona and that concerns us here, who rose from Ripoll to Ogassa mines. 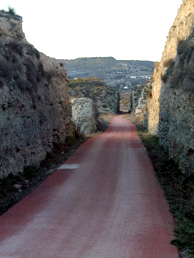 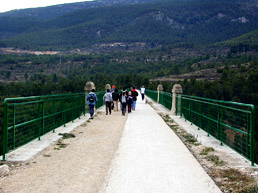 The final part of the route of the old Baeza-Utiel railway runs through the rural district of Sierra de Segura in the province of Jaén. 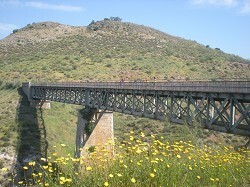 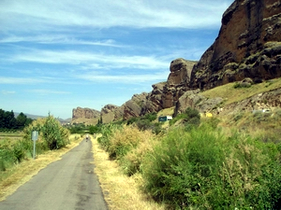 Starting in the province of Albacete, the railway runs through a landscape of rolling hills dominated by olive trees. 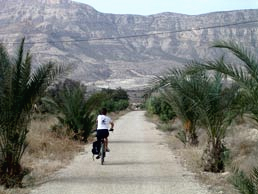 One of its sections runs through the Sierras de Cazorla, Segura y Las Villas Natural Park. 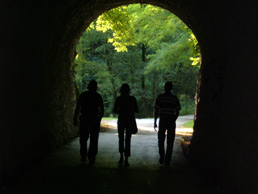 Greenways, so to speak, have sometimes children. 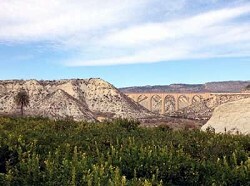 This is the case of the Préjano Greenway, a short branch of the Cidacos Greenway running through an old mining train, tributary of the train running from Calahorra to Arnedillo. 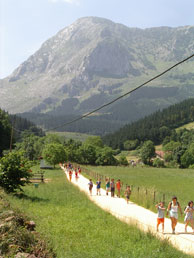 The Cidacos river is a small tributary that, from the slopes of the Cameros and Préjano ranges, oats a fertile valley. 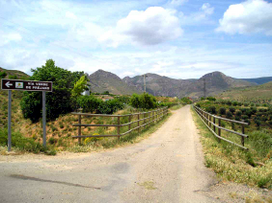 Market Gardens and a thriving industrial sector made possible the movement of a small narrow-gauge railway. 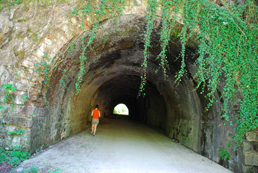 Its layout, now that the train is out of service, brings us today closer to the Jurassic dinosaurs that once walked through this area. 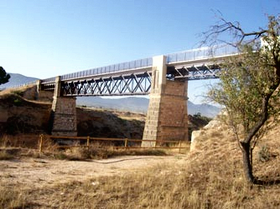 They say that this railway, also called the Negrín Line, was built during the Civil War in just forty days to supply Madrid, then under siege by Franco’s troops. 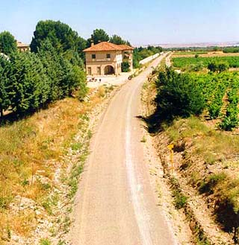 It was a strategic railway with a fleeting life; today part of its route provides an escape from nearby Madrid and a pleasant walk or bike ride through the farmland southeast of the city. 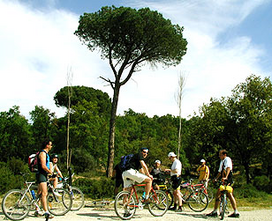 The Greenway, which runs along the river of the same name in the Community of Madrid by a pleasant landscape of meadows, is very easy to follow, because all she has a strong distinctive red asphalt. 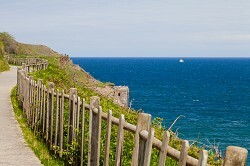 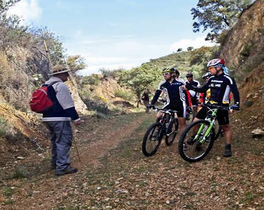 This crucial clue that will bring people with rich traditions, we will not miss reference for the entire route. 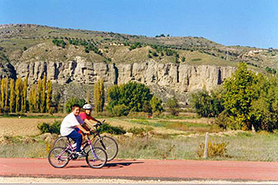 Tudela and Tarazona are two historic cities in Navarra and Aragón respectively that have been linked for centuries by a great many ties and, up until 30 plus years ago, by a train, El Tarazónica. 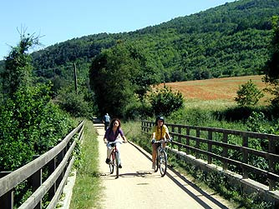 Now we can follow its route on an interesting journey from the banks of the river Ebro to the foot of the Moncayo mountain, thanks to a newly created Greenway. 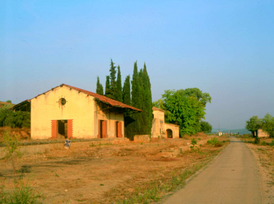 Terra Alta is a rural area of Cataluña dotted with almond and pine groves through which a few trains used to run up until 1973. 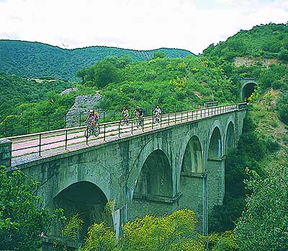 Now we can make use of the disused rail bed of this forgotten railway to travel through the spectacular countryside around the Sierra de Pandols ridge and the Beceite heights. 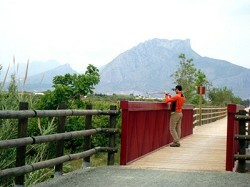 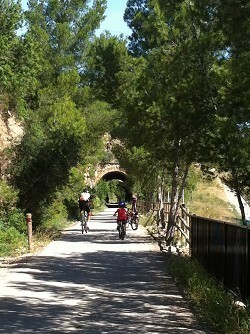 A journey through tunnels and over viaducts takes us from Aragon to the Ebro.